Last weekend I had the pleasure of DOCing another wedding at the lovely Umlauf Sculpture Garden for two grad school friends, Molly and Akram. There was unusually heavy rainfall the day beforehand, but the sun came out for their special day. There was amazing family style food catered by Pink Avocado, two solid hours of dancing with music by Hill Country DJ, and lots of DIY touches from the couple and their loved ones. Molly and Akram are such an easygoing, fun couple and their friends and family are equally as fun-loving, making for a night full of awesomeness. Congrats! 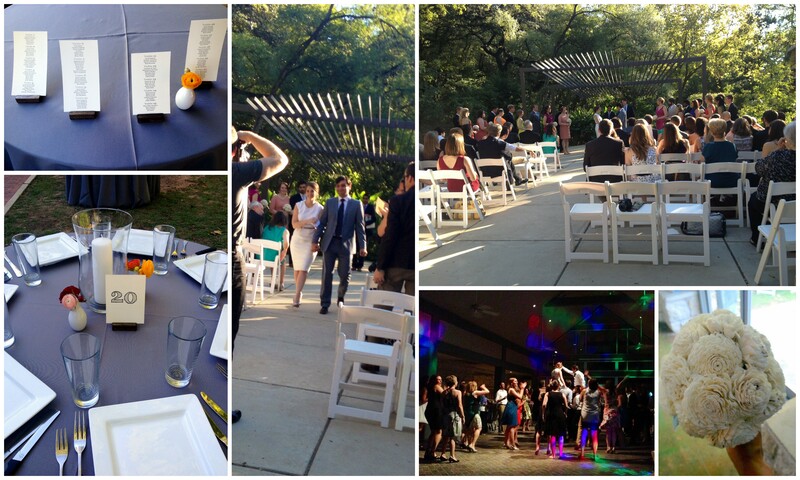 This entry was posted in Weddings and tagged DOC, Umlauf Wedding. Bookmark the permalink.